​Lord Toby Harris has called on Boots the Chemist to ensure that their branches have installed defibrillators with staff trained to use them. Sainsbury's and John Lewis, have already agreed to do this." I'm about to tweet that I haven't had a reply! Our campaign to encourage Boots to install defibs in their pharmacies seems to be achieving success. They were totally resistant to purchasing defibs for installation, but we have heard that they are to make a decision tomorrow at Board level on a possible change of policy, which would lead them to installing in a significant number of stores in key locations. Elizabeth Fagan is MD and Andrew Thompson is Vice President. 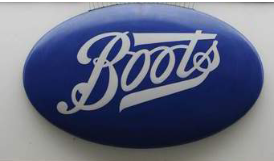 Please encourage and persuade Elizabeth Fagan, Managing Director, Boots UK Limited, to purchase defibrillators to install in all Boot’s stores, in order to save the lives of customers and staff who go into cardiac arrest. The Patient' Form, the London Ambulance Service and Father Tom Udie met the Church of the English Martyrs in Soithwark to install a defibrillator in the Church. Members of the congregation will be invited to train in the life support to save the life of anyone suffering a cardiac arrest. Adrian Bremner, Head of Safety and Governance, Boots UK Limited,1 Thane Road West, Nottingham, NG2 3AA asking them to install defibrillators in all their Pharmacies. Please urgently ask your MP to support this Bill. It is best to email your MP. You can contact your MP at 0207 219 300 for contact details. their cost or installation or maintenance. 2) Unable to tell the Forum where defibrillators have been installed on Boots stores. 3) Support suitable requests from third parties to install public access defibrillators on your stores. do not require your own CPR trained staff to act as local responders. Installation of defibrillators in supermarkets, chemists, GP surgeries and stations is saving hundreds of lives of people suffering cardiac arrest in a public places. Cardiac arrest kills unless rapid CPR and defibrillation is available to resuscitate the patient. Rapid access and use of defibrillators is vital in the period before an ambulance arrives and takes the patient to a specialist NHS cardiac centre. ​Sainsbury’s has committed to the national task of restarting the hearts of cardiac arrest patients, by installing 100 defibrillators in their stores across the country. This major breakthrough will be celebrated on November 1st at a meeting between Sainsbury’s Director Jon Hartland, Heather Lawrence Chair of London Ambulance Service and Malcolm Alexander from the Patients Forum at the new Sainsbury’s supermarket in Nine Elms. Malcolm Alexander, Chair of the Patients’ Forum said: “We congratulate Sainsbury’s for their commitment to saving the lives of customers and staff who tragically suffer cardiac arrest (CA). Every second counts following a CA, and having a defibrillator in store with trained staff will literally restore life and bring great happiness to patients who could so easily have died without resuscitation. 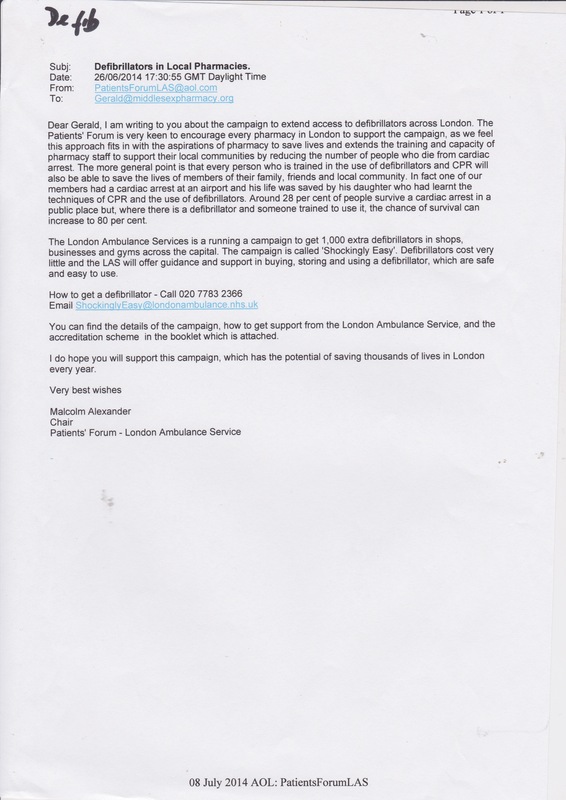 The Forum is also delighted that John Lewis has agreed to support this campaign to save lives. Discussions with Boots the Chemist have also begun. We see a time, in the near future, when everybody is within a short distance of a defibrillator and every school child trained in resuscitation”. 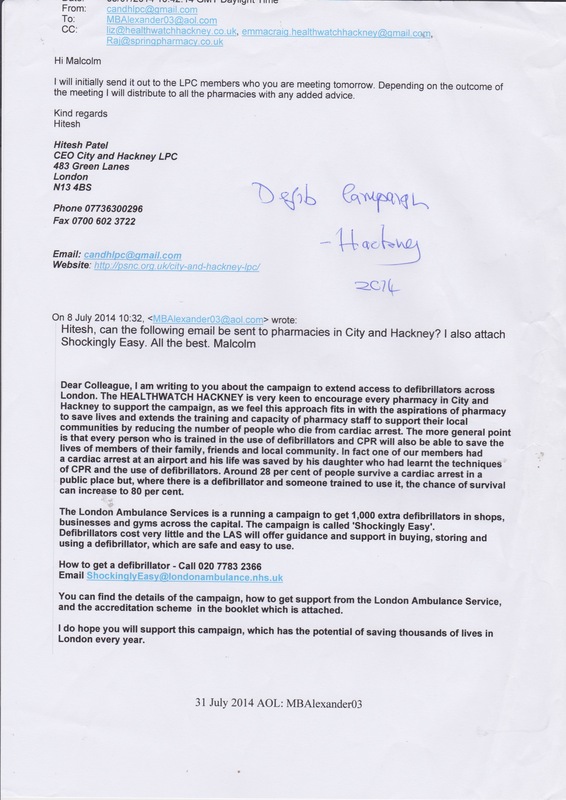 ​Letter to Mike Coupe, Chief Executive, Sainsbury's from Malcolm Alexander, Chair, PFLAS- re. Defibrillators in Sainsbury's Stores. A defibrillator is a machine used to give an electric shock to restart a patient's heart when they are in cardiac arrest. If there were more public-access defibrillators, more people could get the life-saving shock as quickly as possible, giving them the best chance of survival. 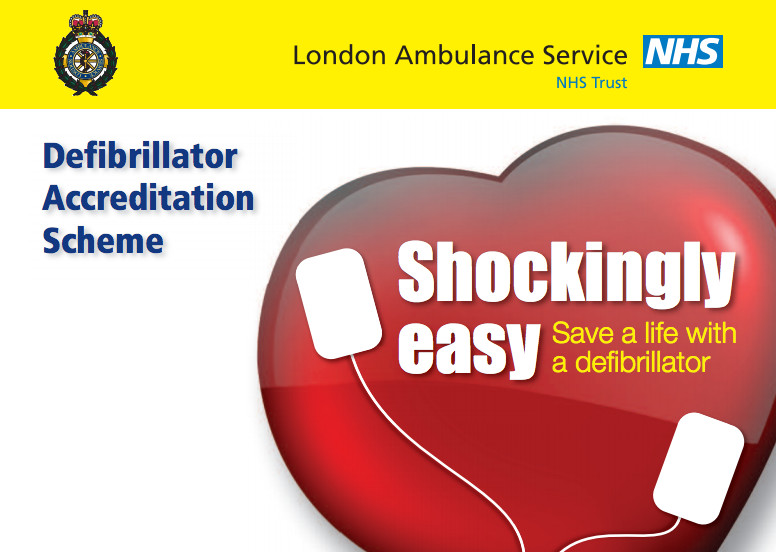 The London Ambulance Service’s defibrillator accreditation scheme offers you formal guidance and support in buying, storing and using a defibrillator, which is easy and safe to use. 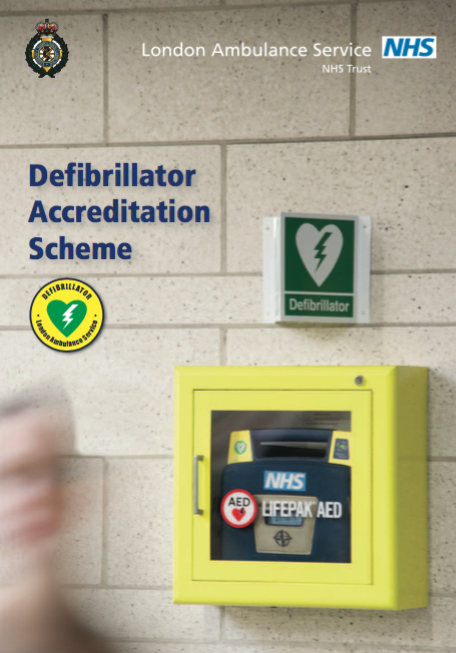 The accreditation scheme offers formal guidance and support in buying, storing and using a defibrillator. 0207 219 300 for contact details.